4600701 MF 2135 MASSEY FERGUSON MF 2135 wheel tractor. Spare Parts Catalog. 4600702 MF 2200 MASSEY FERGUSON MF 2200 wheel tractor. Spare Parts Catalog. 4600703 MF 2205 MASSEY FERGUSON MF 2205 wheel tractor. Spare Parts Catalog. 4600704 MF 2210 MASSEY FERGUSON MF 2210 wheel tractor. Spare Parts Catalog. 4600705 MF 2220 MASSEY FERGUSON MF 2220 wheel tractor. Spare Parts Catalog. 4600706 MF 2225 MASSEY FERGUSON MF 2225 wheel tractor. Spare Parts Catalog. 4600707 MF 2230 MASSEY FERGUSON MF 2230 wheel tractor. Spare Parts Catalog. 4600708 MF 2235 MASSEY FERGUSON MF 2235 wheel tractor. Spare Parts Catalog. 4600709 MF 2405 MASSEY FERGUSON MF 2405 wheel tractor. Spare Parts Catalog. 4600710 MF 2410 MASSEY FERGUSON MF 2410 wheel tractor. Spare Parts Catalog. 4600711 MF 2415 MASSEY FERGUSON MF 2415 wheel tractor. Spare Parts Catalog. 4600712 MF 2430 ST/GE MASSEY FERGUSON MF 2430 ST/GE wheel tractor. Spare Parts Catalog. 4600713 MF 2430 MASSEY FERGUSON MF 2430 wheel tractor. Spare Parts Catalog. 4600714 MF 2435 ST/GE MASSEY FERGUSON MF 2435 ST/GE wheel tractor. Spare Parts Catalog. 4600715 MF 2440 ST/GE MASSEY FERGUSON MF 2440 ST/GE wheel tractor. Spare Parts Catalog. 4600716 MF 2440 MASSEY FERGUSON MF 2440 wheel tractor. Spare Parts Catalog. 4600717 MF 2604H MASSEY FERGUSON MF 2604H wheel tractor. Spare Parts Catalog. 4600718 MF 2605 MASSEY FERGUSON MF 2605 wheel tractor. Spare Parts Catalog. 4600719 MF 2605H MASSEY FERGUSON MF 2605H wheel tractor. Spare Parts Catalog. 4600720 MF 2606H MASSEY FERGUSON MF 2606H wheel tractor. Spare Parts Catalog. 4600721 MF 2607H MASSEY FERGUSON MF 2607H wheel tractor. Spare Parts Catalog. 4600722 MF 2615 MASSEY FERGUSON MF 2615 wheel tractor. Spare Parts Catalog. 4600723 MF 2620 MASSEY FERGUSON MF 2620 wheel tractor. Spare Parts Catalog. 4600724 MF 2620 Xtra MASSEY FERGUSON MF 2620 Xtra wheel tractor. Spare Parts Catalog. 4600725 MF 2625 MASSEY FERGUSON MF 2625 wheel tractor. Spare Parts Catalog. 4600726 MF 2630 MASSEY FERGUSON MF 2630 wheel tractor. Spare Parts Catalog. 4600727 MF 2630 F MASSEY FERGUSON MF 2630 F wheel tractor. Spare Parts Catalog. 4600728 MF 2630 GE MASSEY FERGUSON MF 2630 GE wheel tractor. Spare Parts Catalog. 4600729 MF 2635 MASSEY FERGUSON MF 2635 wheel tractor. Spare Parts Catalog. 4600730 MF 2640 MASSEY FERGUSON MF 2640 wheel tractor. Spare Parts Catalog. 4600731 MF 2645 MASSEY FERGUSON MF 2645 wheel tractor. Spare Parts Catalog. 4600732 MF 2650 MASSEY FERGUSON MF 2650 wheel tractor. Spare Parts Catalog. 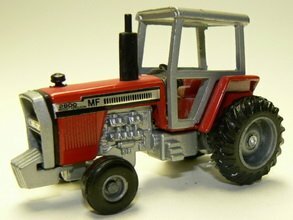 4600733 MF 2660 MASSEY FERGUSON MF 2660 wheel tractor. Spare Parts Catalog. 4600734 MF 2665 MASSEY FERGUSON MF 2665 wheel tractor. Spare Parts Catalog. 4600735 MF 2665 MX MASSEY FERGUSON MF 2665 MX wheel tractor. Spare Parts Catalog. 4600736 MF 2670 MASSEY FERGUSON MF 2670 wheel tractor. Spare Parts Catalog. 4600737 MF 2675 MASSEY FERGUSON MF 2675 wheel tractor. Spare Parts Catalog. 4600738 MF 2680 MASSEY FERGUSON MF 2680 wheel tractor. Spare Parts Catalog. 4600739 MF 2680 MX MASSEY FERGUSON MF 2680 MX wheel tractor. Spare Parts Catalog. 4600740 MF 2685 MASSEY FERGUSON MF 2685 wheel tractor. Spare Parts Catalog. 4600741 MF 2690 MASSEY FERGUSON MF 2690 wheel tractor. Spare Parts Catalog. 4600742 MF 2695 MASSEY FERGUSON MF 2695 wheel tractor. Spare Parts Catalog. 4600743 MF 2705 MASSEY FERGUSON MF 2705 wheel tractor. Spare Parts Catalog. 4600744 MF 2705E MASSEY FERGUSON MF 2705E wheel tractor. Spare Parts Catalog. 4600745 MF 2706E MASSEY FERGUSON MF 2706E wheel tractor. Spare Parts Catalog. 4600746 MF 2720 MASSEY FERGUSON MF 2720 wheel tractor. Spare Parts Catalog. 4600747 MF 2725 MASSEY FERGUSON MF 2725 wheel tractor. Spare Parts Catalog. 4600748 MF 2745 MASSEY FERGUSON MF 2745 wheel tractor. Spare Parts Catalog. 4600749 MF 2775 MASSEY FERGUSON MF 2775 wheel tractor. Spare Parts Catalog. 4600750 MF 2805 MASSEY FERGUSON MF 2805 wheel tractor. Spare Parts Catalog. 4600751 MF 3050 MASSEY FERGUSON MF 3050 wheel tractor. Spare Parts Catalog. 4600752 MF 3060 MASSEY FERGUSON MF 3060 wheel tractor. Spare Parts Catalog. 4600753 MF 3065 MASSEY FERGUSON MF 3065 wheel tractor. Spare Parts Catalog. 4600754 MF 3070 MASSEY FERGUSON MF 3070 wheel tractor. Spare Parts Catalog. 4600755 MF 3075 MASSEY FERGUSON MF 3075 wheel tractor. Spare Parts Catalog. 4600756 MF 3080 MASSEY FERGUSON MF 3080 wheel tractor. Spare Parts Catalog. 4600757 MF 3085 MASSEY FERGUSON MF 3085 wheel tractor. Spare Parts Catalog. 4600758 MF 3090 MASSEY FERGUSON MF 3090 wheel tractor. Spare Parts Catalog. 4600759 MF 3095 MASSEY FERGUSON MF 3095 wheel tractor. Spare Parts Catalog. 4600760 MF 3115 MASSEY FERGUSON MF 3115 wheel tractor. Spare Parts Catalog. 4600761 MF 3120 MASSEY FERGUSON MF 3120 wheel tractor. Spare Parts Catalog. 4600762 MF 3125 MASSEY FERGUSON MF 3125 wheel tractor. Spare Parts Catalog. 4600763 MF 3140 MASSEY FERGUSON MF 3140 wheel tractor. Spare Parts Catalog. 4600764 MF 3165 MASSEY FERGUSON MF 3165 wheel tractor. Spare Parts Catalog. 4600765 MF 3315 MASSEY FERGUSON MF 3315 wheel tractor. Spare Parts Catalog. 4600766 MF 3325 MASSEY FERGUSON MF 3325 wheel tractor. Spare Parts Catalog. 4600767 MF 3330 MASSEY FERGUSON MF 3330 wheel tractor. Spare Parts Catalog. 4600768 MF 3340 MASSEY FERGUSON MF 3340 wheel tractor. Spare Parts Catalog. 4600769 MF 3350 MASSEY FERGUSON MF 3350 wheel tractor. Spare Parts Catalog. 4600770 MF 3355 MASSEY FERGUSON MF 3355 wheel tractor. Spare Parts Catalog. 4600771 MF 3425 MASSEY FERGUSON MF 3425 wheel tractor. Spare Parts Catalog. 4600772 MF 3425 V-S-F-GE Powershuttle MASSEY FERGUSON MF 3425 V-S-F-GE Powershuttle wheel tractor. Spare Parts Catalog. 4600773 MF 3435 MASSEY FERGUSON MF 3435 wheel tractor. Spare Parts Catalog. 4600774 MF 3435 V-S-F-GE Powershuttle MASSEY FERGUSON MF 3435 V-S-F-GE Powershuttle wheel tractor. Spare Parts Catalog. 4600775 MF 3445 V-S-F-GE Powershuttle MASSEY FERGUSON MF 3445 V-S-F-GE Powershuttle wheel tractor. Spare Parts Catalog. 4600776 MF 3455 MASSEY FERGUSON MF 3455 wheel tractor. Spare Parts Catalog. 4600777 MF 3455 V-S-F-GE Powershuttle MASSEY FERGUSON MF 3455 V-S-F-GE Powershuttle wheel tractor. Spare Parts Catalog. 4600778 MF 3505 MASSEY FERGUSON MF 3505 wheel tractor. Spare Parts Catalog. 4600779 MF 3525 MASSEY FERGUSON MF 3525 wheel tractor. Spare Parts Catalog. 4600780 MF 3545 MASSEY FERGUSON MF 3545 wheel tractor. Spare Parts Catalog. 4600781 MF 3610 MASSEY FERGUSON MF 3610 wheel tractor. Spare Parts Catalog. 4600782 MF 3615 Tier 2 MASSEY FERGUSON MF 3615 Tier 2 wheel tractor. Spare Parts Catalog. 4600783 MF 3615 MASSEY FERGUSON MF 3615 wheel tractor. Spare Parts Catalog. 4600784 MF 3615 V-S-F-GE Powershuttle MASSEY FERGUSON MF 3615 V-S-F-GE Powershuttle wheel tractor. Spare Parts Catalog. 4600785 MF 3625 MASSEY FERGUSON MF 3625 wheel tractor. Spare Parts Catalog. 4600786 MF 3625 Tier 2 MASSEY FERGUSON MF 3625 Tier 2 wheel tractor. Spare Parts Catalog. 4600787 MF 3625 Tier 3 MASSEY FERGUSON MF 3625 Tier 3 wheel tractor. Spare Parts Catalog. 4600788 MF 3625 V-S-F-GE MASSEY FERGUSON MF 3625 V-S-F-GE wheel tractor. Spare Parts Catalog. 4600789 MF 3630 MASSEY FERGUSON MF 3630 wheel tractor. Spare Parts Catalog. 4600790 MF 3630 Tier 3 MASSEY FERGUSON MF 3630 Tier 3 wheel tractor. Spare Parts Catalog. 4600791 MF 3630 V-S-F-GE MASSEY FERGUSON MF 3630 V-S-F-GE wheel tractor. Spare Parts Catalog. 4600792 MF 3630 Xtra MASSEY FERGUSON MF 3630 Xtra wheel tractor. Spare Parts Catalog. 4600793 MF 3635 MASSEY FERGUSON MF 3635 wheel tractor. Spare Parts Catalog. 4600794 MF 3635 Tier 2 MASSEY FERGUSON MF 3635 Tier 2 wheel tractor. Spare Parts Catalog. 4600795 MF 3635 Tier 3 MASSEY FERGUSON MF 3635 Tier 3 wheel tractor. Spare Parts Catalog. 4600796 MF 3635 V-S-F-GE MASSEY FERGUSON MF 3635 V-S-F-GE wheel tractor. Spare Parts Catalog. 4600797 MF 3640 Tier 3 MASSEY FERGUSON MF 3640 Tier 3 wheel tractor. Spare Parts Catalog. 4600798 MF 3640 V-S-F-GE MASSEY FERGUSON MF 3640 V-S-F-GE wheel tractor. Spare Parts Catalog. 4600799 MF 3640 V-S-F-GE Xtra MASSEY FERGUSON MF 3640 V-S-F-GE Xtra wheel tractor. Spare Parts Catalog. 4600800 MF 3645 MASSEY FERGUSON MF 3645 wheel tractor. Spare Parts Catalog. 4600801 MF 3645 Tier 2 MASSEY FERGUSON MF 3645 Tier 2 wheel tractor. Spare Parts Catalog. 4600802 MF 3645 Tier 3 MASSEY FERGUSON MF 3645 Tier 3 wheel tractor. Spare Parts Catalog. 4600803 MF 3645 V-S-F-GE MASSEY FERGUSON MF 3645 V-S-F-GE wheel tractor. Spare Parts Catalog. 4600804 MF 3650 MASSEY FERGUSON MF 3650 wheel tractor. Spare Parts Catalog. 4600805 MF 3650 Tier 3 MASSEY FERGUSON MF 3650 Tier 3 wheel tractor. Spare Parts Catalog. 4600806 MF 3650 V-S-F-GE MASSEY FERGUSON MF 3650 V-S-F-GE wheel tractor. Spare Parts Catalog. 4600807 MF 3650 V-S-F-GE Xtra MASSEY FERGUSON MF 3650 V-S-F-GE Xtra wheel tractor. Spare Parts Catalog. 4600808 MF 3655 MASSEY FERGUSON MF 3655 wheel tractor. Spare Parts Catalog. 4600809 MF 3655 V-S-F-GE MASSEY FERGUSON MF 3655 V-S-F-GE wheel tractor. Spare Parts Catalog. 4600810 MF 3660 MASSEY FERGUSON MF 3660 wheel tractor. Spare Parts Catalog. 4600811 MF 3660 V-S-F-GE Xtra MASSEY FERGUSON MF 3660 V-S-F-GE Xtra wheel tractor. Spare Parts Catalog. 4600812 MF 3670 MASSEY FERGUSON MF 3670 wheel tractor. Spare Parts Catalog. 4600813 MF 3680 MASSEY FERGUSON MF 3680 wheel tractor. Spare Parts Catalog. 4600814 MF 3690 MASSEY FERGUSON MF 3690 wheel tractor. Spare Parts Catalog.